What do a 19th Century British novelist and a composer from rural West Texas, have in common? 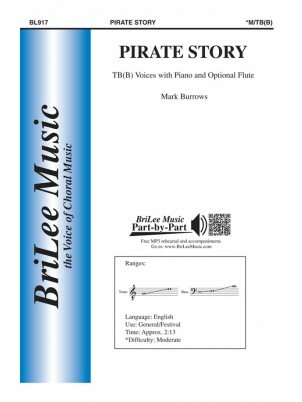 Not much except Pirate Story. In this classic poem by Robert Louis Stevenson, three young people with a basket and loads of creativity set sail for adventure in their own imagined ocean--a meadow. Male ensembles of all sizes are capable of bringing this imaginative story to life.